A US man accused of knocking game servers offline in a series of attacks has pleaded guilty to charges of computer hacking. Sony, EA Origin and Steam were all hit by Utah resident Austin Thompson’s attacks in 2013 and 2014. Mr Thompson also admitted to causing damage costing $95,000 (£73,000) as part of his plea agreement. The maximum sentence for the crimes is 10 years in jail and fines of up to $250,000. 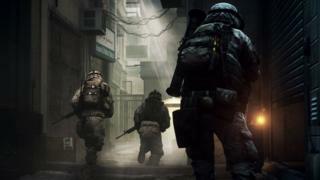 In the attacks, gamers were prevented from playing as Mr Thompson swamped connections to servers with huge amounts of bogus data – so-called denial of service attacks. Imminent attacks were announced via a Twitter account called “derptrolling” which also featured screenshots of error messages caused by the flood of data. Many of the game servers were offline for hours at a time. Tweets sent via the derptrolling account suggested more than one person was behind the attacks, but Mr Thompson is the only person mentioned in a Department of Justice (DoJ) statement. Mr Thompson is due to be sentenced at a hearing on 1 March, 2019.